Welcome new readers of RMP’s quarterly H2 infrastructure report. Each quarter we look back on the major stories related to hydrogen infrastructure advancements in the USA & Canada and chronicle them here. We also compare an AFDC database download at quarter end to the prior quarter’s database to see what has changed. The AFDC database is updated by the U.S. Dept. of Energy & can be found by clicking here. Canada does not have a centralized database of alternative fuel vehicle information so we collect Canadian data by hand in RMP’s own data tables. You’ll often see the acronym ‘HRS’ in this report which stands for Hydrogen Refueling Station. You can click on any picture within any RMP post and it will open a full screen photo gallery of all photos in the article. With that out of the way, let’s get on with the report. A big story in 2018-Q4 is what happened just this past week: 3 new public HRS opened in California. The Citrus Heights HRS opened on 12/19/2018 under the Shell brand. And, the Palo Alto & Los Angeles Intl Airport upgraded HRS opened on 12/21/2018 under Air Liquide’s Blue Hydrogen brand. This is the first time that 3 stations opened in one week and it’s a precursor to a much busier year in 2019. Twenty-two new H2 refueling stations are set to open in 2019 which is more than any year before. The overarching top story this past quarter, however, has got to be how Air Liquide is stepping up bigger & faster than anyone else in the USA’s hydrogen economy & elsewhere around the world too. Let’s look at some examples of how Air Liquide has stepped up commitments and more importantly their investments in the North American and global Hydrogen Economy. Both the new LAX & Palo Alto stations are operated by Air Liquide. Air Liquide also announced in late November they are investing $150 million USD in a 100% zero emission hydrogen liquefaction plant to serve California hydrogen refueling stations. Air Liquide also published stories on their website regarding activities all over the world like the HyBalance project in Hobro, Denmark which is a pilot site for carbon-free hydrogen using electrolysis and electricity which would otherwise be wasted. 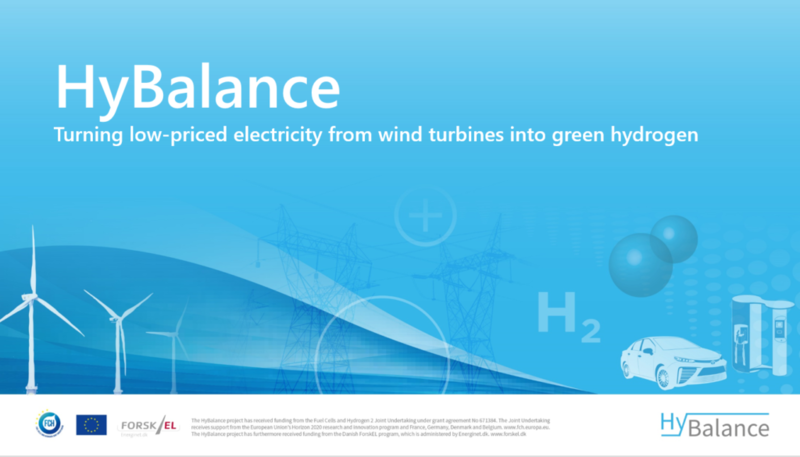 The HyBalance project exemplifies a thesis similar to many posts here at RMP like when we debunked Dr. Bossel’s hydrogen myths about the economics of hydrogen production. The plant in Hobro will make 500kg of carbon free hydrogen per day from energy that would otherwise go to waste. Air Liquide & Hydrogenics are just two of 53 leading companies that have joined forces to form the Hydrogen Council. The Hydrogen Council collectively accounts for 3.8 million jobs and €1.8 trillion in revenue from across 11 different countries. The Hydrogen Council has quadrupled in size since it was formed just over 18 months ago. 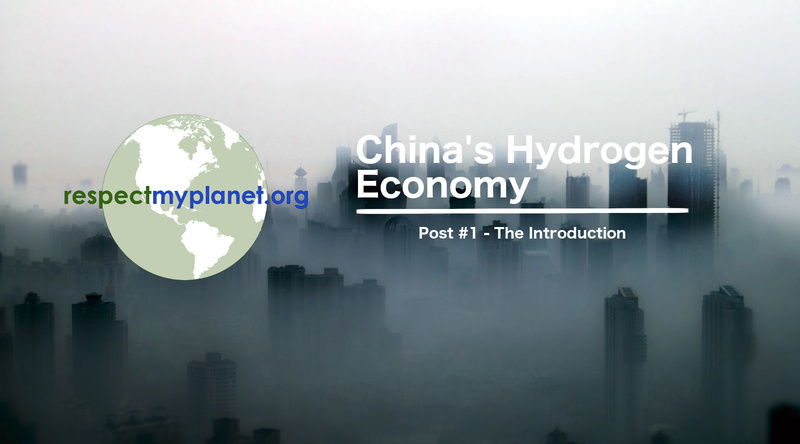 As RMP wrote about recently in our last post about the Hydrogen Economy in China, it seems we are breaking out of a long gestation period and into a period of scaling up for the hydrogen economy. 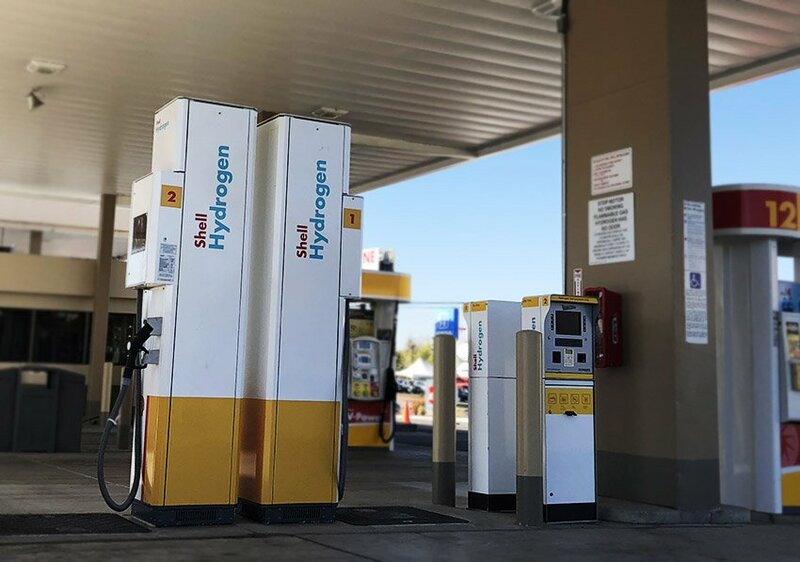 We are poised to see 22 more hydrogen refueling stations open in 2019 in California alone which is more than any previous year. There are also four stations planned to open in the eastern United States as well. 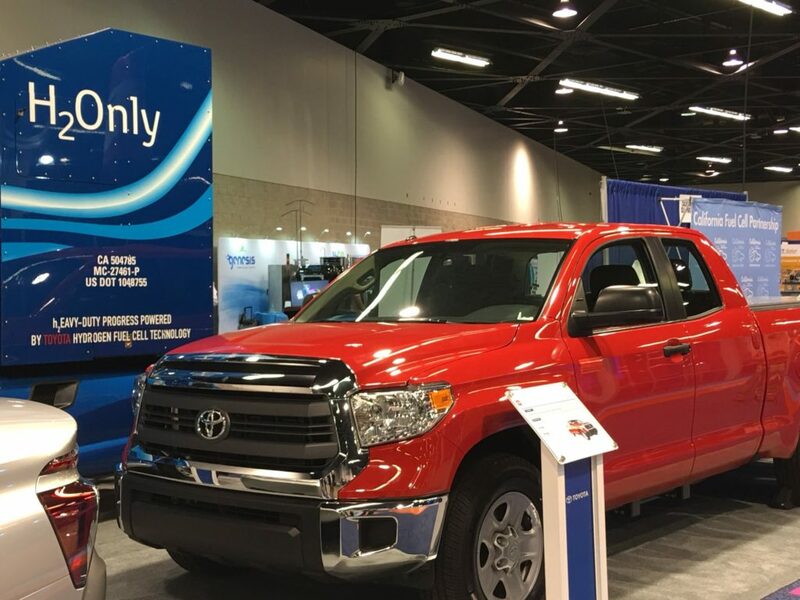 With the announcement of Air Liquide’s liquid hydrogen production plant & more Class 8 vehicles scheduled to hit California roads soon, we are looking forward to a 2019 with literally tons of hydrogen growth on the horizon. 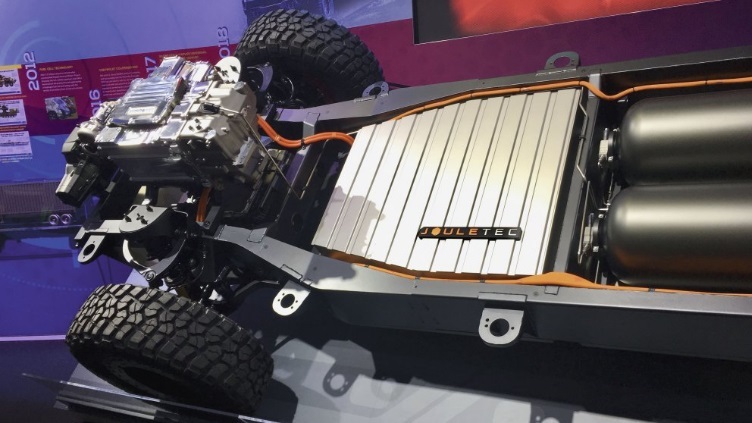 2019 is the year of “Scaling Up” in the hydrogen economy all around the world. GM announced the formation of the GM defense business unit with Charlie Freese as CEO in early October. Charlie Freese also heads up GM’s Fuel Cell R&D. GM Defense LLC will focus on advanced propulsion systems like fuel cell electric vehicles. Read More. 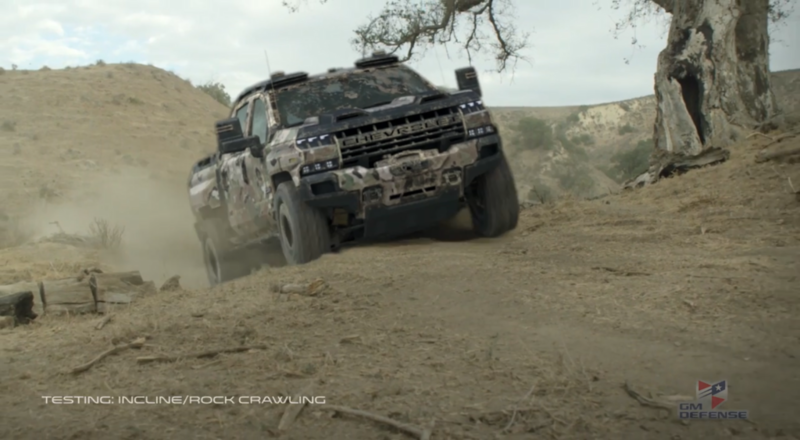 GM Defense LLC makes a rad video showing the next generation ZH2 off-road vehicle based on a full size GM Silverado half ton pickup truck with over 400 miles of range & no loss of cargo space in the bed of the truck. 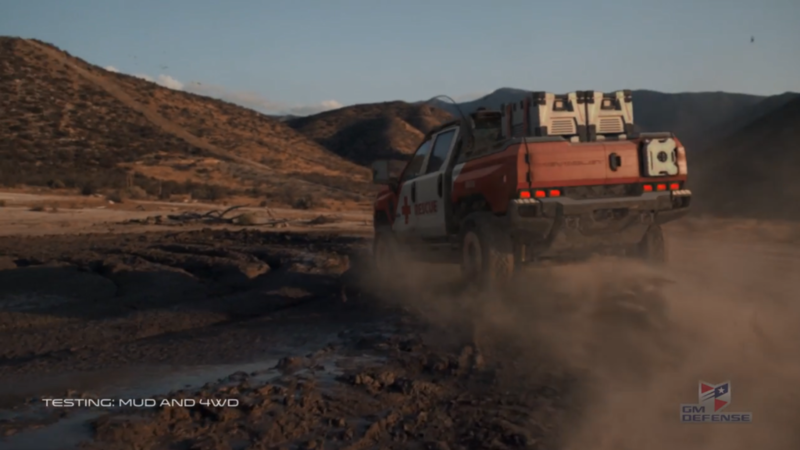 A photo gallery of the “real truck” and CGI concept photos are shown below, or you can also watch this cool video. 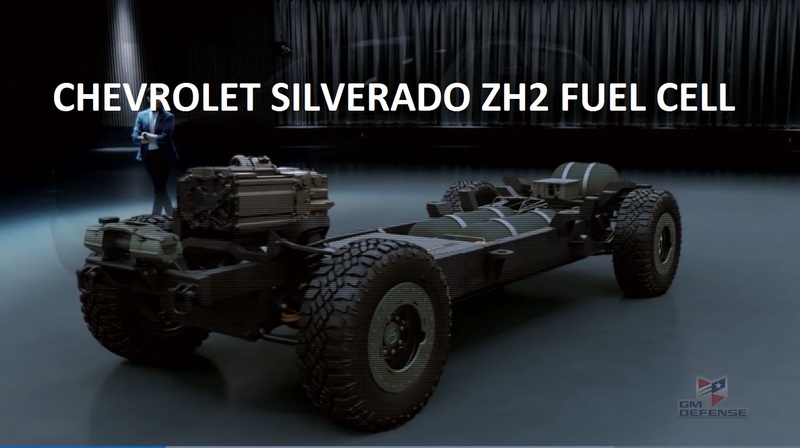 The new Chevy ZH2 truck was also showcased at the Association of the US Army (AUSA) exhibit in Washington DC from October 8th to October10th which coincided nicely with National Hydrogen Day. Read More. 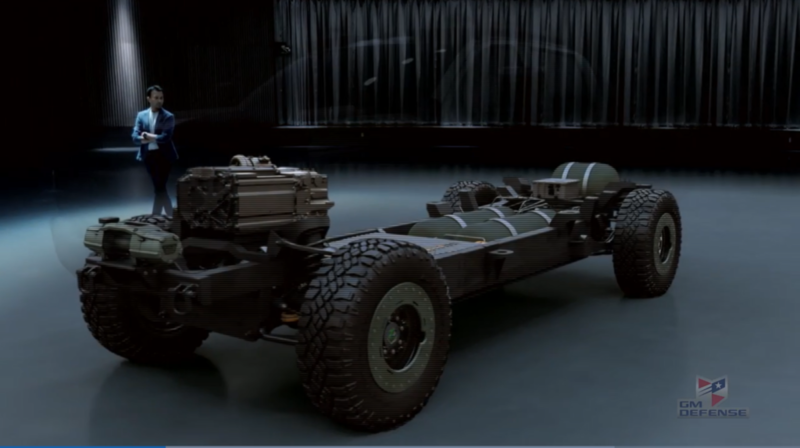 GM Defense LLC also made a cool video showcasing the over 400 mile range SURUS hydrogen fuel cell autonomous vehicle. Watch the video. In early November HTEC announced construction began on a second public HRS in VanCouver BC. Plans for hydrogen infrastructure in Canada are gaining traction. Read more. Jill Cowan, who writes for Dallas News in Texas, published a good article about why Toyota sees FCEVs as a key part of their plan for the future. The article is a good read on fuel cell vehicles and has interesting quotes from Yoshikazu Tanaka, the chief engineer of the Mirai FCEV. There are also good quotes from Taiyo Kawai, who leads hydrogen fuel cell development for Toyota. Read Article. The band Maroon 5 released a music video for their cover of the famous Bob Marley song named Three Little Birds. How is this related to hydrogen? 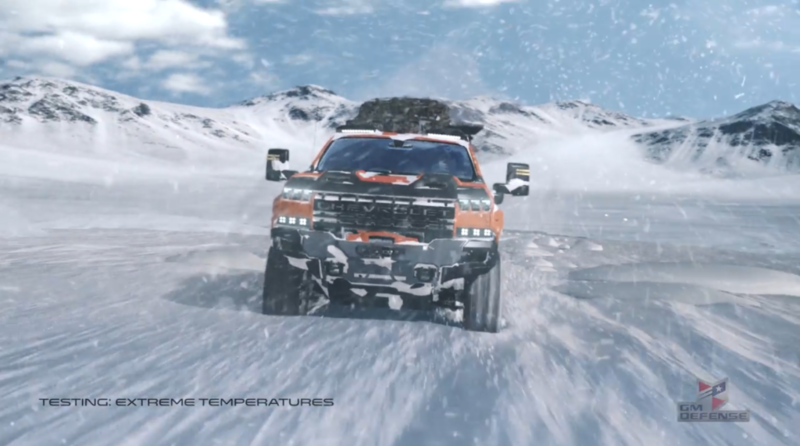 Well, I happened to be watching music videos with my wife when I noticed a cameo of Hyundai Nexo hydrogen fuel cell vehicle at the 1min30sec mark. That’s pretty cool stuff for a nerdy fuel cell report 🙂 Watch the music video. 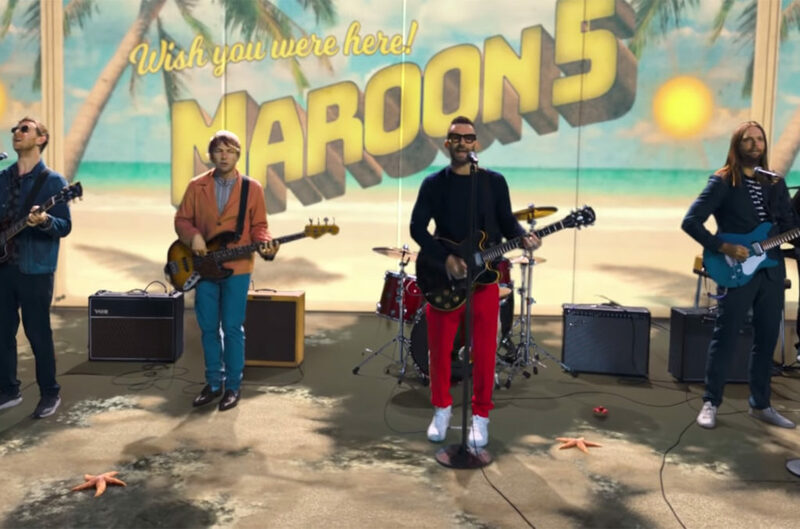 Maroon 5 covers Bob Marley’s classic Three Little Birds and features a cameo of the Hyundai Nexo fuel cell electric vehicle in their newly released music video at the 1 minute & 30 second mark. Click here to watch the music video. 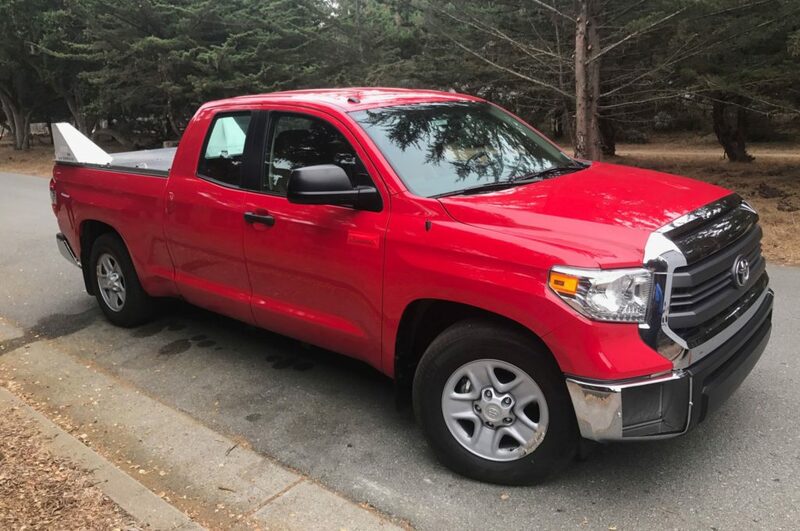 Toyota PIE Pro full sized hydrogen fuel cell pickup truck was introduced 10/30/2018 at SEMA. 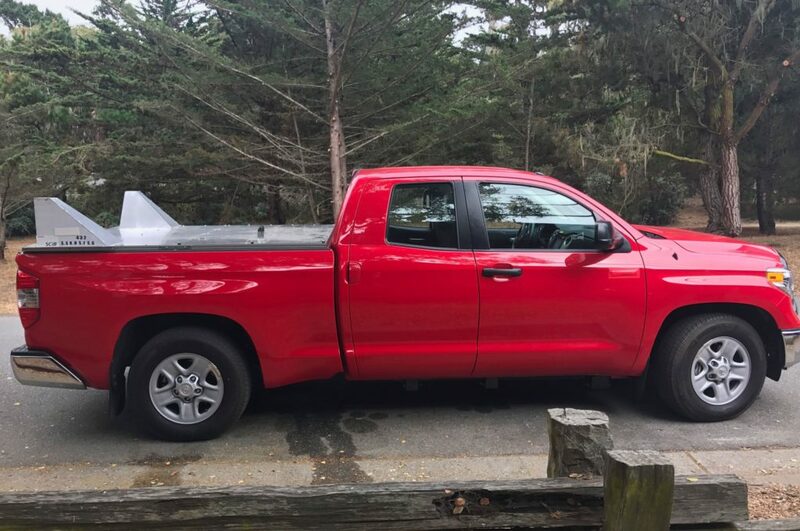 This full size pickup truck is not your typical work truck. It’s job is to make delicious pizza. Read the story. Lastly, a quick addition to this Q4 post is late breaking news on 12/28/2018 that Hyundai has delivered the first Nexo FCEV in California. The official base price of the vehicle is $53,800 which is less than the base price of the Toyota Mirai FCEV by just $65. Click here to read more. The planned HyGen station in Orange California fell off of the AFDC database this past quarter. The Emeryville California station is now open to the public and it’s name changed to Emeryville Linde. A couple other small changes like name tweeks & phone number changes took place but other than that, not a lot of activity on the AFDC database. As mentioned in the opening paragraph, three new stations opened in the last week of the year: Citrus Heights, Palo Alto, & LAX. The Emeryville station operated by Linde also opened in the 4th quarter bringing the total number of open stations to 39 at 12/31/2018. On the CAFCP.org list of stations we see three more stations move from the planning stage to under construction: the First Element Oakland Station, Shell San Francisco 3rd Street Station, and Shell San Francisco Mission Street Station are now all listed as under construction at 12/31/2018. 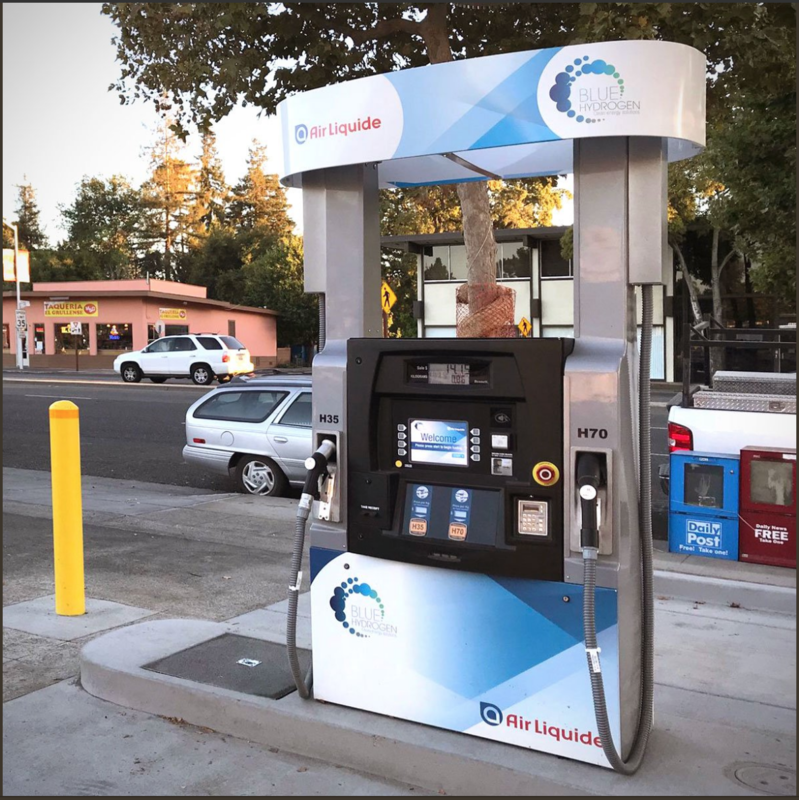 San Francisco has good H2 coverage now and with the Air Liquide Santa Nella connection station planned to open in July of 2019, California will have two major cities (LA & San Fran) with two connection stations along interstate #5. Sacramento has two stations now with Citrus Heights opening and with Shell Sacramento opening next year, Sacramento will have three stations. That will give California 3 major cities with good H2 coverage by this time in 2019 that are all connected. We are seeing more and more the newer HRS’ coming online with 400 to 450 kilograms of storage capacity. Higher capacity onsite H2 storage should allow OEMs to sell more cars to match supply to capacity. The liquefaction plant mentioned in this quarter’s opening story will have a big impact on scaling up hydrogen in California. I can’t help but to think back to Arnold Schwarzenegger pushing for hydrogen in California so long ago and I’m so glad he did. It took someone strong like Arnold in a time when California had big political fights ongoing about which direction they were headed as a State that culminated in a zany recall election in 2003. We have come a long way because of Ahhhhhh-nold’s strength & vision leading us to the true birth of the hydrogen highway since his election 15 years ago. Thank you Arnold if you’re reading. A clean & sustainable hydrogen economy has gathered a lot of momentum to help our kids have good jobs, clean air, and clean water. That’s what it’s all about in the end. 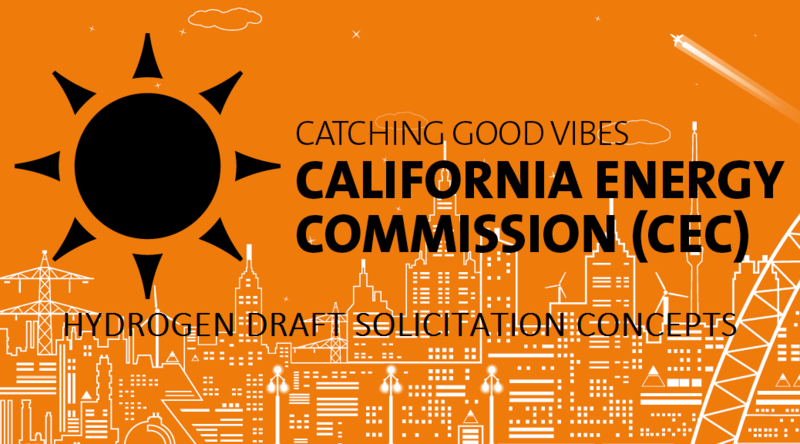 Including hydrogen in political plans, like California has done, is good for jobs, good for the economy, and good for the environment. In the ebb & flow of hydrogen infrastructure growth in 2018, it was a slow and steady year. Many seeds were planted in 2018 that will bloom in 2019. With 3 new HRS opening the last week of the year, we end 2018 with strong momentum for more growth next year. It is remarkable that we have approximately 22 new public stations planned to come online in California in 2019. We hope you will follow RMP into 2019 as we continue to chronicle hydrogen infrastructure developments in California & across North America each quarter. RMP will continue to watch stations progress from planning, to approval, to construction, to commissioning and finally to becoming open to the public. We see station development progress moving more efficiently through these stages of development as the people involved gain experience with each new station. People are learning and then they’re able to teach more people, and so on and so on. The knowledge is spreading, the economics are there, and growth is happening. 2019 will mark a major milestone when HRS’ begin opening on the east coast too. The standardization of the HRS construction process and learning pitfalls & helping others avoid them as we move forward is a big deal. Our top storyline this past quarter was Air Liquide’s pioneering effort in helping the hydrogen economy advance in California & around the world. It is Air Liquide that is also pioneering the hydrogen economy on the East Coast. The AFDC database shows we expect Air Liquide to open stations in 2019 in: Providence Rhode Island, Mansfield Massachusetts, Hempstead New York, and Hartford Connecticut. Then in 2020 there is another Air Liquide station planned for Braintree Massachusetts. By establishing HRS in multiple states on the East Coast of North America, Air Liquide is blazing a trail for others to follow. Other majors like Shell, Linde, and Air Products will follow suit and we will see hydrogen costs drop as we move forward. Air Liquide’s commitment & actions to the hydrogen economy was our top story of 2018-Q4. These actions are going on all around the world too, not just in the USA. The HyBalance project in Hobro, Denmark is just another example of using otherwise wasted energy & storing it as hydrogen for powering vehicles or homes. Air Liquide is a partner along with Hydrogenics in the HyBalance project along with many other partners. 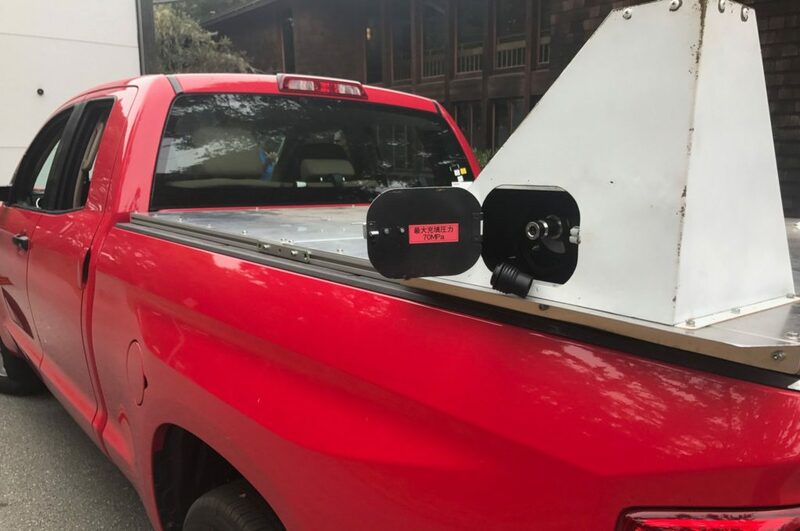 These global activities emphasize the growth of hydrogen fuel cell technology everywhere that gives rise to benefits back home here in the USA & Canada. Thank you for reading and we look forward to you joining RMP as we move into 2019. Follow RMP on Twitter by clicking here. Like RMP on facebook by clicking here. RMP is a Michigan registered 501(c)3 Organization located in suburban Detroit. Donations to RMP are tax deductible. If you can afford to, please make a tax deductible donation to help support RMP as we continue to chronicle & map important environmental data for all to share. Click here to make a tax-deductible donation. Thanks. Lastly, don’t forget to check out RMP’s Google Map of all HRS in the USA. You can also check out RMP’s map of all HRS in China by clicking here. RMP will be working hard to upgrade our Google Maps with some really cool features in 2019. RMP will publish videos on how to use our maps better & show you how you can learn a lot about H2 infrastructure around the world. Again, thanks for reading.